Willem 'sGravesande's family were originally named Storm van 'sGravesande and even later members continued with the old form of the name, for example Laurens Storm van 'sGravesande was governor of Essequibo from 1742 to 1772. Willem's early education was at home with a private tutor named Tourton who was employed to educate Willem and his brothers. Tourton saw that Willem had considerable mathematical talents and he was able to encourage him in that direction even though Willem was expected, as were his brothers, to make a career in the legal profession. He studied law at Leiden University, entering the university in 1704. He wrote a doctoral thesis on 'suicide' and submitted it in 1707. The force of a body is proportional to the mass multiplied by the square of its velocity. Samuel Clarke attacked the ideas that 'sGravesande presented in this essay, but 'sGravesande was able to reply with a robust defence of his ideas. 'sGravesande taught and wrote many texts on Newtonian science and Keill's contributions. He wrote textbooks on mathematics and philosophy. For example he wrote a textbook to teach mathematics which he published in 1725. His writings on philosophy proved somewhat more controversial: for example the philosophy textbook he published in 1736 was highly criticised for his treatment of necessity and freewill. The Latin text, however, enhanced his reputation as a teacher and was translated into Dutch and English. He also published and edited works written by others, for example the Opera varia Ⓣ and Opera reliqua Ⓣ by Huygens, several works by Keill and the Arithmetica universalis by Newton. This work of Newton was published by 'sGravesande in 1732 and four years later Voltaire, another strong supporter of Newton on the Continent, travelled to Leiden to have 'sGravesande approve his own work on Newton Elémens de la philosophie de Newton Ⓣ. Voltaire wrote after his visit of both the kindness and the scholarship shown by 'sGravesande. 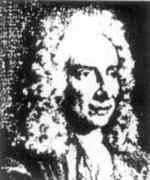 I have thought fit to make good the Newtonian method, which I have followed in this work. In physics we are to discover the laws of nature by phenomena, then by induction prove them to be general laws; all the rest is to be handled mathematically. ... the theory of matter, elementary mechanics, the five simple machines, Newton's laws of motion, gravity, central forces, hydrostatics, hydraulics, sound, and wave motion. ... three chapters of fire (containing electricity), two books on optics, one on the system of the world, and a final book entitled "The physical causes of the celestial motions". ... and cannot be deduced from laws that are known. A rather strange episode occurred in 1721 when 'sGravesande visited Kassel to examine a machine invented by Orffyreus which purported to be capable of perpetual motion. He was invited by the landgrave of Kassel to pass judgement of whether the machine was genuine or whether Orffyreus was a fraud. 'sGravesande could find no evidence that deception was involved, and also seems to have believed that such a device would not contravene the laws of physics. Following his examination of the machine he wrote Lettre à Mr Newton sur une machine inventée par Orffyreus: Remarques touchant le mouvement perpétuel Ⓣ.